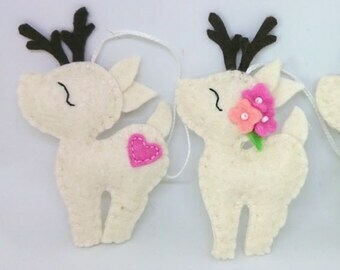 Announcement Felt Christmas ornaments, nursery decor and party supplies from Grab a Coffee - welcome at my shop. All items are stitched by hand! And every piece, even the most simple, takes many hours to create. This means that every piece owns a little part of me - of course blood, sweat and tears are included free. Please come by my social media pages and say hello! I'd love to hear from you! 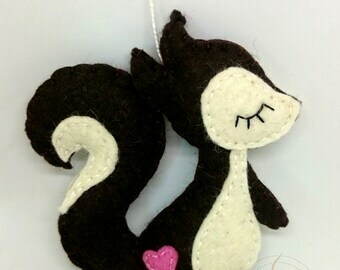 Felt Christmas ornaments, nursery decor and party supplies from Grab a Coffee - welcome at my shop. Love these ~ second purchase and, as with the first, delivered timely and are well crafted! Thank you! This is just the sweetest thing! I ordered this as a key fob and in grey so I could carry Penelope with me everywhere I go. Since this item can be ordered in different colors and for different uses I appreciate that Eszter was communicative in confirming my order details back to me so I could be sure I would receive exactly what I wanted. It shipped within a day or so of ordering and arrived in a timely manner- I'm in the US and I believe it shipped form Hungary, so it took a couple weeks, which I would expect for an international shipment. 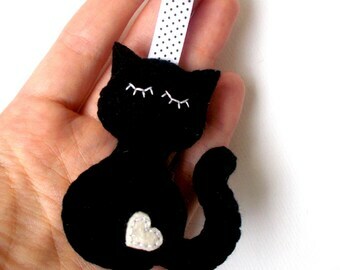 Great felt decoration, beautifully made and well packaged. Would highly recommend. Sale in my shop. Check it out! When I was a little girl, my mom has used her sewing machine a lot, and when she didn't want to make noise, then she knit. I was always watching, and tried to learning. From then, I always tried to live a creative live, and try to make things by myself. I have started to make felt jewelries some years ago, and my family and friends liked them a lot. That's why I opened a store here in Etsy - to see if others like them too. In 2013 I've made some felt ornaments, and bring them to a craft fair. People were crazy about those, so I uploaded them too to my shop. I love the stories behind your purchases... even if you are buying something for Christmas, or to baby shower, I love to hear your story. - This makes me proud to work for you.